The Borden Primary Health Centre was established March 2000. Members of the primary health team include a nurse practitioner, a laboratory technician, a public health nurse, home care nurse, client care co-ordinator and mental health counsellor. 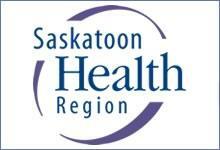 Academic Family Medicine (University of Saskatchewan) provide physician services at this site. Itinerant services are offered by a nutritionist and a physiotherapist. Website visitors interested in BORDEN PRIMARY HEALTH CENTRE were also likely to be searching for these additional terms.